How to Draw Pictures on the Computer directions using a digital sketch pad. Read the Summary on How to Trace a Picture to My Computer below. 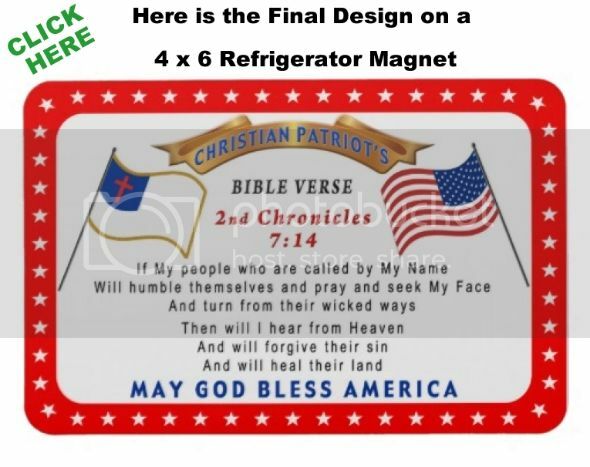 FINAL Zazzle 4 x 6 inch custom refrigerator magnets. This is the sketch my mother quickly drew to give me an idea what she wanted me to create for her. She requested that I design Bible Verse Magnets for her to give to her friends as a very inexpensive custom gift. Since my mom is an artist and I am not, she sometimes draws a rough sketch for me to trace onto computer using my pen and touch tablet. 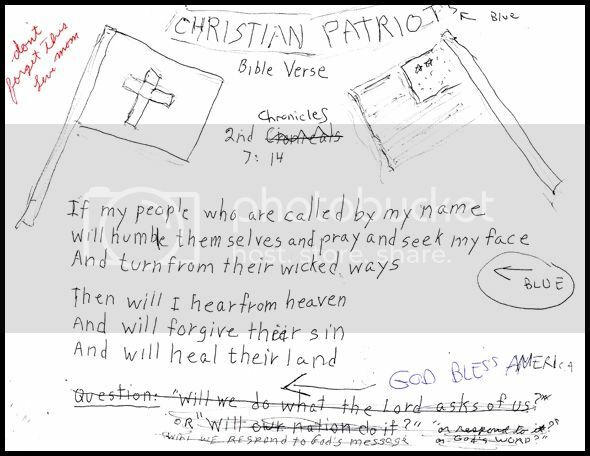 The final Patriotic Scripture Magnets turned out beautifully. Personally, I would have made the background Blue so the White Christian Flag stood out better but this is my mom’s custom order. I sent an approval photo to her so she could make any changes. My Mom’s Sketch for her custom order magnets she requested me to create on Zazzle for her. A quick summary on How I Sketched this to My Computer with my Wacom Artist Graphics Pad. 1. I Scanned my mothers drawing sketch to my computer using my all in one printer, scanner copy machine. 2. I dragged the sketch to my PhotoShop (or go to Menu Bar > File >Open. Select the Scanned “img” or “jpg” however you have your scanner set up). 3.This created the First Layer in the Layers Panel. To see the Layers Panel, In the PhotoShop Menu Bar, > Windows > Layers. 5. This New Layer will be on top of the existing Mom Sketch. In the Layers Panel, Click on the original Layer, Name it: Mom’s Sketch. In this same Layers Panel near the Top, slide the Opacity level to your desired opacity, try 50% to start with. 5. Click on your New Layer, Name it “My Sketch” and begin to draw. See the YouTube Video below to help you visually see How to Sketch Faces. This is an older video but this is how I learned to sketch onto computer. I mostly used my Photoshop to draw the items or vectors. I erased white around one of my vectors so having my sketch pad was so nice because I am able to be so much more accurate with it verses using a the mouse. The mouse feels much more clumsy to me. 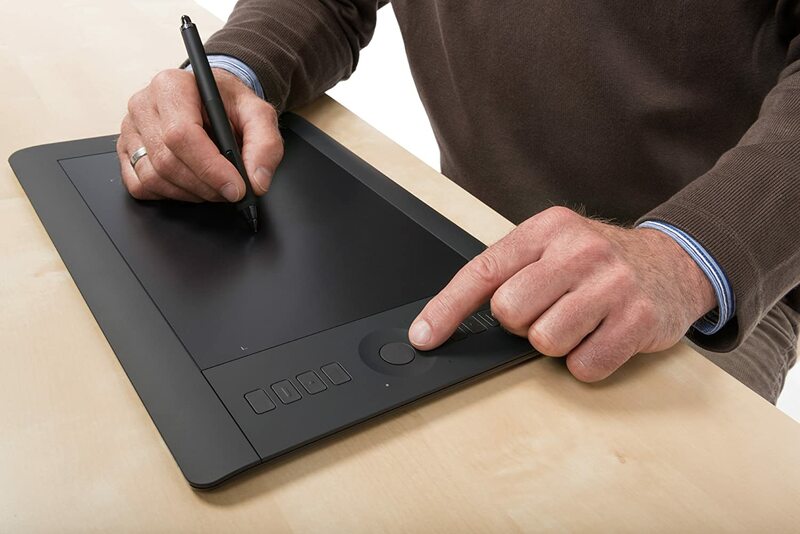 This truly is the Best Artist Tablet, for artists and non artists like me who need help. What are some good photo editing websites? I found some photo editing websites. If you are like me, you might be afraid of downloading photo image software unless you are certain it is from a trusted site. Well, here you don’t have to download any software, just use Photobucket. Little Linda Pinda’s Best Photo and Image Editing Online Site choice is: Photobucket is my choice as the best picture editing websites. It is Easy to figure out how to Upload your images to Photobucket and then proceed to edit photos. Share or keep your photos private. If you decide to make your photos public, be sure to link them back to a site you would like people to see. I used other Picture Editing Websites, but I really found Photobucket to offer so much more this is such an easy to use photo editing site. Graphics by Little Linda Pinda.